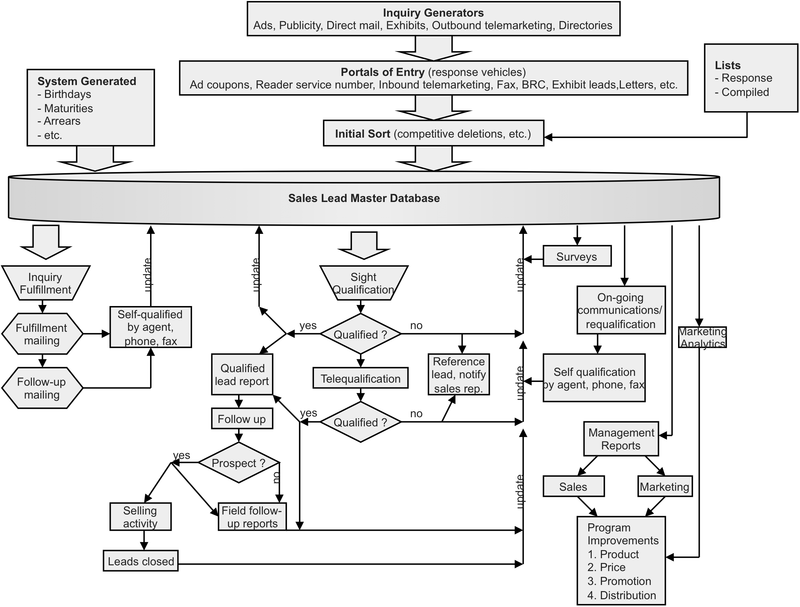 The model below is a great leads management model. I used this model to provide the blueprint for a direct marketing company processing over 6 million ‘packets’ annually while I was responsible for their operations team and have used it subsequently in a number of organisations to help assess and enhance existing capabilities. supports the integration with third-party brokers that allows the marketing team to develop campaigns and filter high quality leads that can then be followed up by brokers, thus improving broker sales and the long term relationship the company has with them. Brokers are often wary of internal efforts to target customers because of the perceived threat to their business. SAP’s suite of CRM, customer care and BI products appears to do a pretty good job of providing the closed loop integration that is required when doing such large volume marketing from an existing customer base.